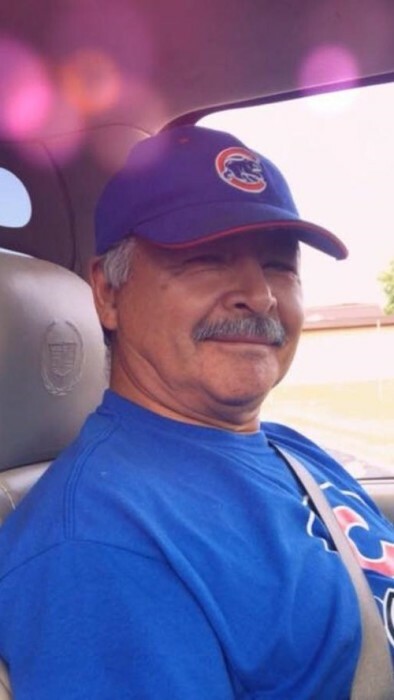 Juan R. Leon, age 64 of East Chicago, IN passed away Sunday, September 9, 2018. He is survived by 14 children: Armando, late Claudia, Jasmine, late Juan, Victoria, Julio, Andres, Jesus, Essa, Sellia, Juanita, Jose Luis, Alfredo, Juan Carlos; many grandchildren; siblings: Lupe, Jose, Carmen, late Lola, late Carolina, Maria de Jesus, Maria Luisa and Elias; numerous nieces and nephews. VISITATION at FIFE FUNERAL HOME, 4201 Indianapolis Blvd., East Chicago, IN will be from 5:00 to 8:00 pm on Thursday, September 13, 2018. A Mass of Christian Burial will be celebrated on Friday, September 14, 2018 at 10:00 am at St. Mary Church, 802 W. 144th Street, East Chicago, with Rev. Nestor Varon officiating. Burial to follow at St. John Cemetery, Hammond, IN.